I have have used KOSÉ Sekkisei range when I was in high school because my mom has always loved this brand. That time I did not have much knowledge about skincare brands so I just used what my mom has and that's when I fell in love with KOSÉ. 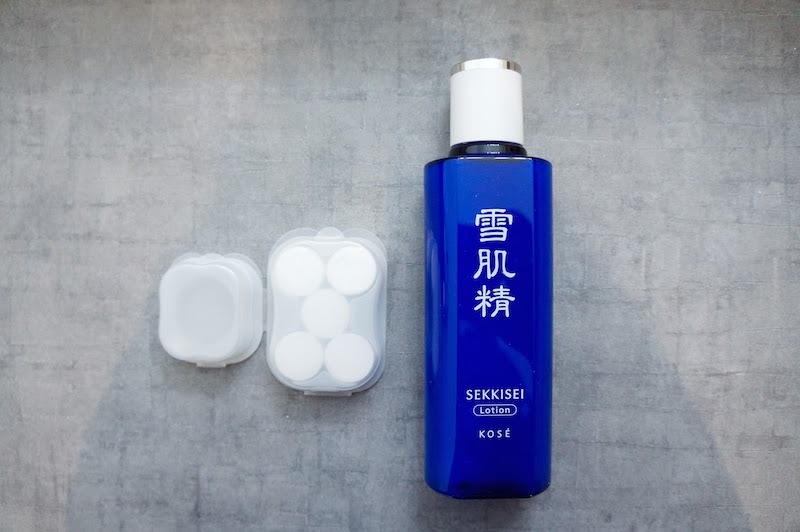 Sekkisei lotion contains alcohol (second ingredient) that I first worried it would not be suitable for sensitive skin like mine, yet I've not problem using this at all and it purported to increase moisture at the same time reduce skin dullness. After KOSÉ workshop last week, I've found a new way of using this lotion that I've never thought of. 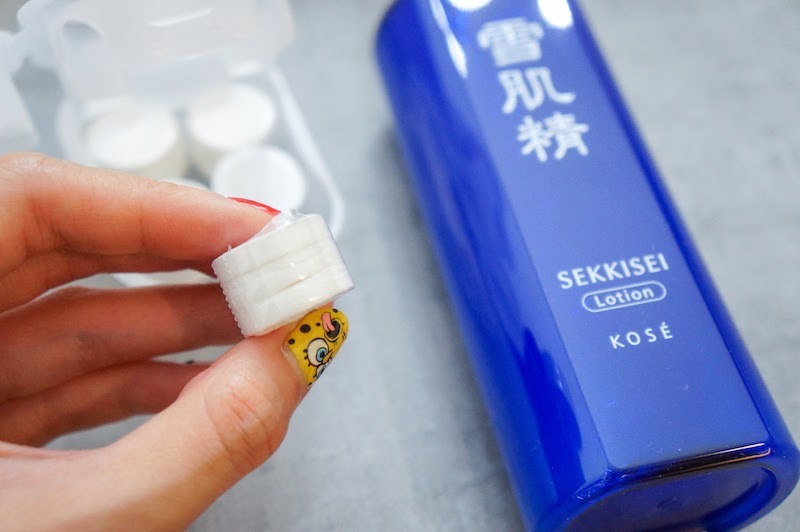 Simply soak a pill mask in the bottle cap filled with Sekkisei lotion, and lay it on your face for about 10 minutes. It moisturizes and smoothen my face really well, yet does not have stickiness that sheet mask tends to have. Good beauty tips shall share with everyone isn't it? 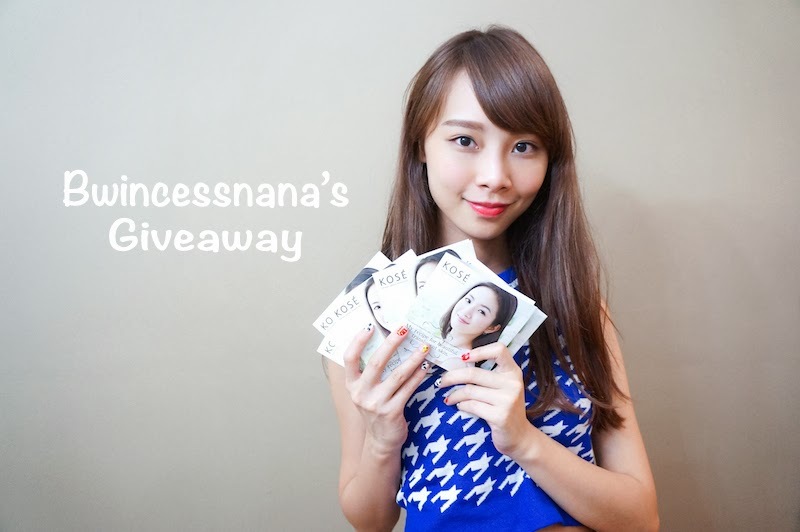 I'm here giving away 200 masks to 50 winners (each winner gets 4 packs of masks). All you need to do is to drop your answers on this blog post. #1 What are the 3 main ingredients used in KOSÉ Sekkisei Lotion Mask? #2 Name one of the benefits of the KOSÉ Sekkisei Lotion Mask (any 1 out of 9 benefits). 1. Coixseed extract, Angelica extract, Melothria extract. Benefit: to enhance skin translucency. 1.Coixseed extract, Angelica extract, and Melothria extract. 1: coixseed extract,melothria and angelica. Q1: Coix Seed Extract, Angelica Extract and Melothria (White lotus) Extract.